Researching and preparing to deliver testimony before Congress is a process that takes quite a bit of time and groundwork. There are many elements that can assist you in the process, including preparing a briefing book. 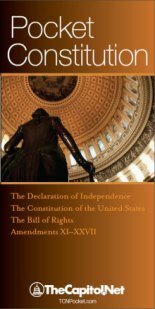 A briefing book commonly is comprised of research materials, documents and other materials that assist you during the hearing. It can be particularly helpful when used as a quick reference tool when you are questioned by the committee. 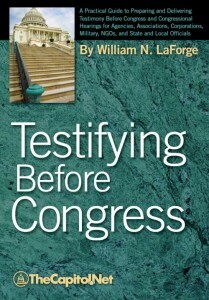 Along with basic documents and research, the briefing book should contain prepared answers to potential questions that may be asked of you during the hearing. You might include other resources that you might need to quickly access during the hearing, such as relevant statistics and lists. 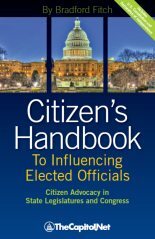 Other items in the briefing book can include a copy of your testimony, an executive summary, background materials and research and committee information. Some people also choose to include a copy of the invitation to testify from the committee and handouts such as charts and graphs, biographies of committee members, and travel itinerary and scheduling information for the witness. To make the briefing book more accessible and helpful, you can use tabs for easy reference. If you opt to use a briefing book during the hearing, place it on the table in front of you or slightly to the side. Include the use of the materials in your witness rehearsal to ensure you are completely familiar with the briefing book ahead of time. As a prospective witness, practice locating and referring to the contents of your briefing book during your rehearsal. This allows you to develop the ability to use your briefing book naturally, with speed and ease during the actual hearing. 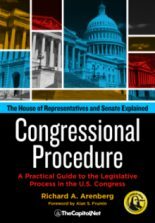 Your rehearsals should include the use of the briefing book while delivering oral testimony and while answering questions that might be posed by the committee. 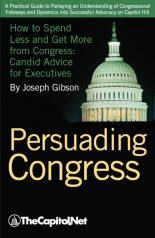 For more information on preparing effective Congressional testimony, consider our 1-day course Preparing and Delivering Congressional Testimony. We also offer custom, on-site testifying training.